Men’s Falke Cool 24/7 Cotton Sneaker Socks are elegant, low ankle socks made of a gassed cotton rich fibre blend with an additional and refreshing cooling function, due to special polyamide-enhanced functional yarn. Woven with special mesh breathing channels for enhanced air circulation, the socks quickly wick away body heat and moisture for fresher, drier feet all day long. ‘Gassing’ already-mercerised cotton is an additional process Falke has used to give the socks an even smoother, finer matt look and cool, silky feel. 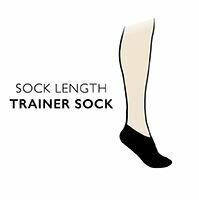 Rubbing and irritation in these fine gauge socks is reduced by pressure-free, extra-comfortable hand linked toes for smooth seams.